The Red Bull Ring is located close to the city of Spielberg (population 5,000), in the Styrian Alps between Zeltweg and Knittelfeld. Originally known as the Österreichring or the Zeltweg,the circuit was opened in 1969. 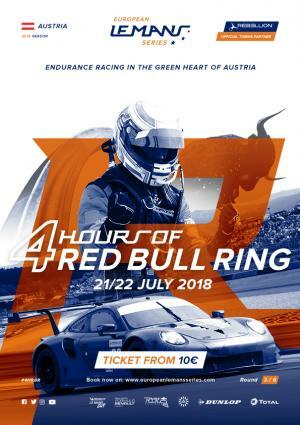 It hosted the Austrian F1 Grand Prix between 1970 and 1987 and again from 1997 to 2003 after the circuit was redeveloped and renamed the A1-Ring.The circuit was bought in 2005 by Red Bull's Dietrich Mateschitz, totally rebuilt and renamed the Red Bull Ring as it re-opened on the 15th May 2011. In 2013 a European Le Mans Series endurance race took place for the first time on the superb circuit, alongside the World Series by Renault. After once more welcoming an F1 Grand Prix in 2014, the European Le Mans Series held its second race there as part of a fantastic summer festival of racing. The third different winner of the season, Signatech Alpine, claimed the highest step of the LMP2 podium. 2015 saw the first victory of the year for JOTA Sport in front of over 12 000 spectator after an exceptional race. Thiriet by TDS Racing was second and the new BR01, run by SMP Racing, secured its debut podium finish. In 2016, Thiriet by TDS racing took its second victory in a row of the season in the Red Bull Ring and it was the start of a strong battle with G-Drive Racing that lasted the whole season.